Happy Friday, y'all! If you're a big blog reader like me, you've probably come across some really lovely homes all decorated up for Christmas. They're so pretty and so well put together! I've starred a few as favorites, and thought I'd share them with you today. Do you have any favorites of your own or are you particularly proud of your own home? If so, share the links in the comments so we can all see them! 1 | Jones Design Company. I always love Emily's style, and I adore that she kept her decor so simple and stuck mostly to neutrals and LOTS of greenery. 2 | Nesting Place (from last year!). Here's another blogger I admire for both her style and her ability to be so real and imperfect (in a good, good way), and her Christmas decor reflects that attitude so well. 3 | Life in Grace. Edie's style is more gutsy than mine, and I love looking at her eclectic mix of things. 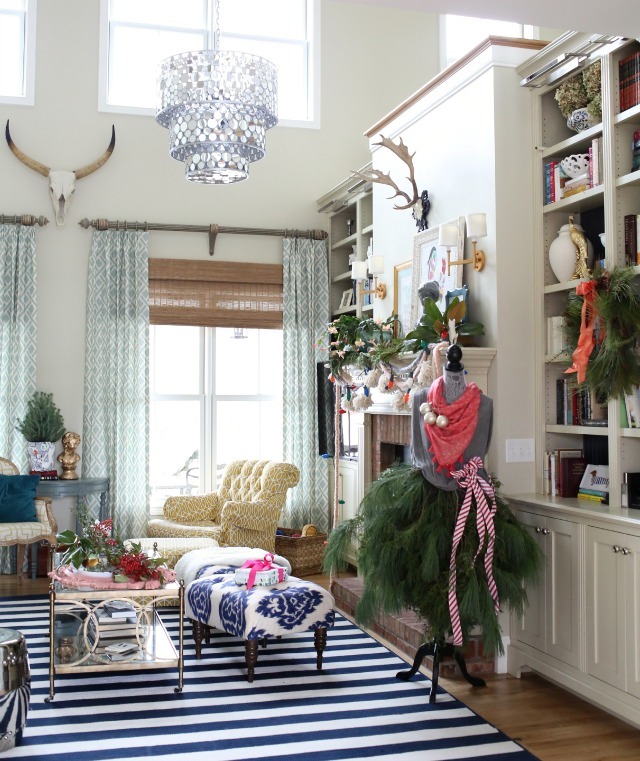 Her Christmas decor is fun and bends the rules, and looks simply amazing. 4 | A Thoughtful Place. Courtney said she was going traditional this year and she hit the nail on the head. I'm totally digging the all the plaid and red and green. It's a fresh take on what comes to mind when I think of Christmas decor. I bet you'll agree with me :). 5 | Craftberry Bush. 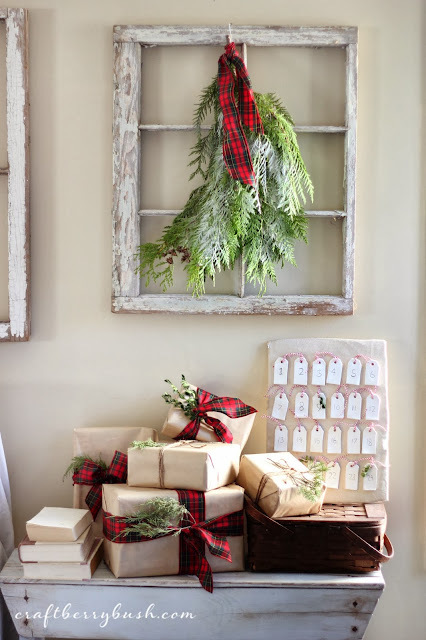 Another "fresh traditional" take on decorating for Christmas comes from the oh-so-talented Lucy. Love the farmhouse feel she's got going on. She has amazing taste and is an incredible artist too - have you seen her work? I'd love to have a piece of it in my home someday! 6 | This That and Life. Anneke's blog is newish to me, but every time I pop over there, I love what she's been up to! Her home with all its Christmas decor is no exception. 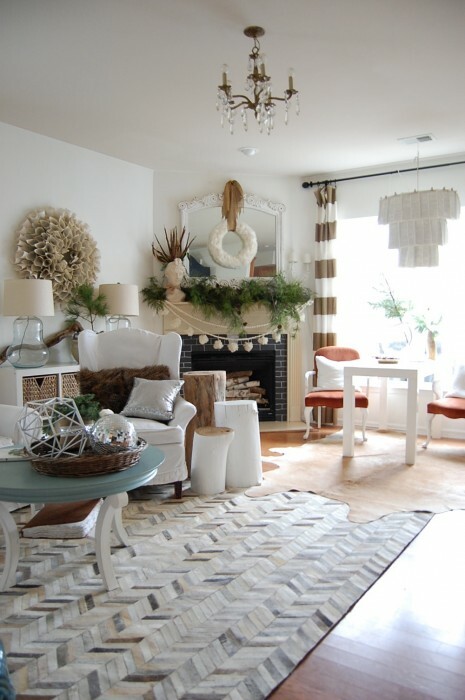 I especially love how she used sheepskin fur rugs around the base of her tree! 7 | Lacquer and Linen. I just want to go live in this home during the Christmas season. It's so inviting! Sarah did such a beautiful job with her red, white and silver theme. 8 | Beneath My Heart. Traci's home is so, so lovely all dressed up for Christmas. The unexpected pops of turquoise are such a fun addition to traditionally colored decor. I hope you all have fun, relaxing weekends. We're off on a little adventure this weekend. I'll fill you in next week! Gorgeous links Chaney and some new blogs for me to explore, thanks! !